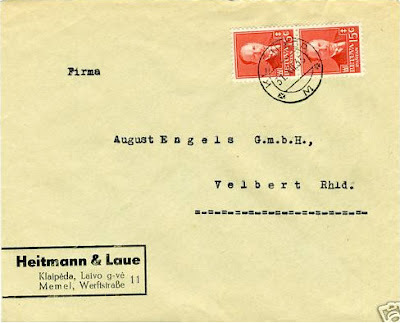 Cover from Klaipeda (Memel) to Germany dated 31 December 1935. Domestic rate of 30 ct. The domestic rate to Germany was allowed until 1936. Klaipeda "M" cancellation.